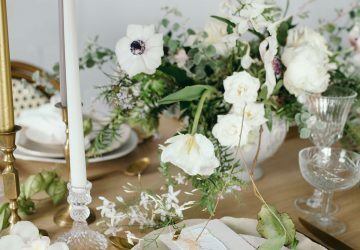 We love a unique wedding table plan here at The Wedding of my Dreams, today we have pulled together our top 7 ideas for wedding table plans. 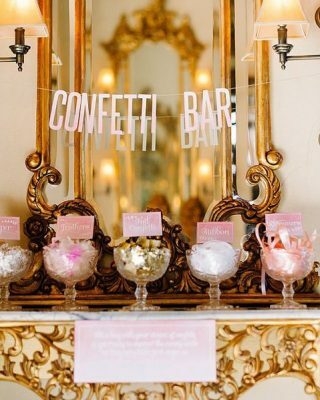 Which is your favourite? 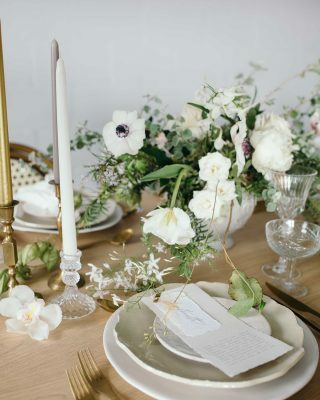 Or are you making your own table plan, we’d love to hear your ideas in the comments below. 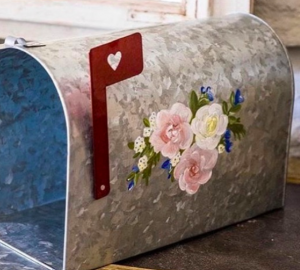 Add flowers the the silver pots and tie luggage tags to the front to show your guests where they will be sitting. 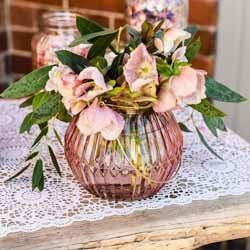 Add a bed of flowers to your vintage crate or ask your florist to do this for you. 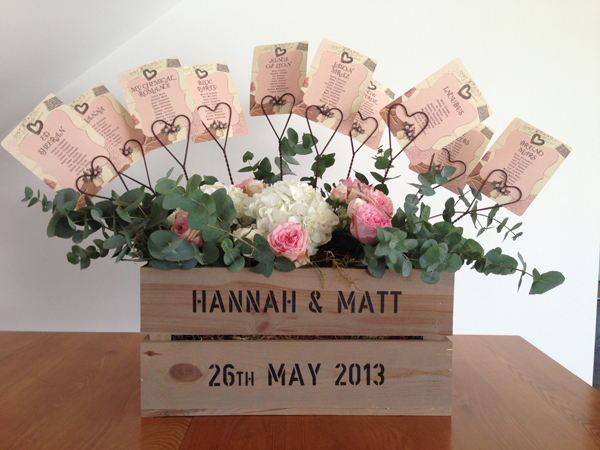 Poke in some rustic heart table number holders to hold your table plan cards and let guests find their seat. 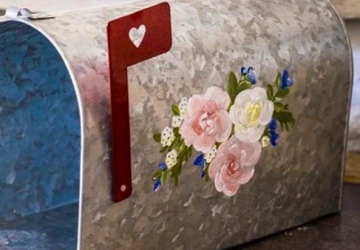 You can personalise your wooden crate by spay painting your name and wedding date on the front using a stencil. Name your tables after countries you have visited together as a couple. 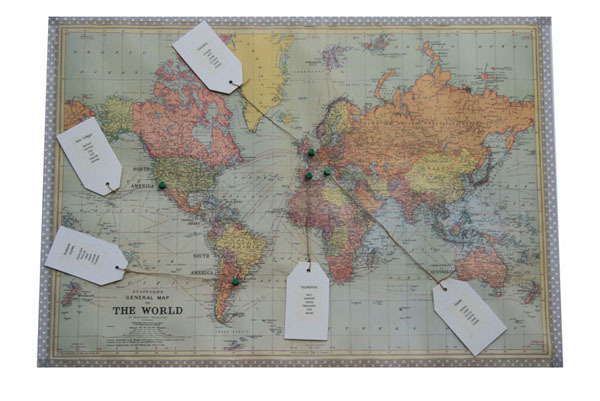 Use this world map table plan to display at your wedding, add the guests names to a luggage tags and pin that luggage tag on to the country (table) they are sitting at. 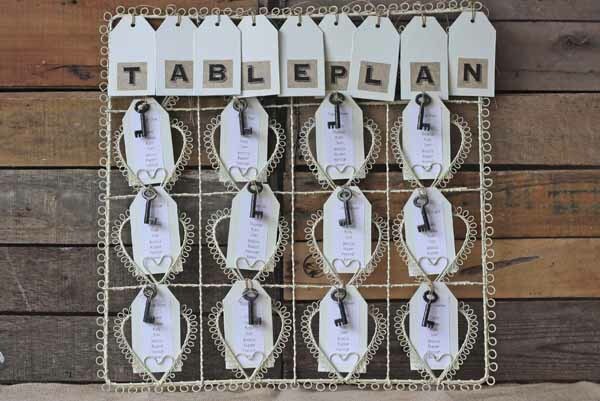 Present your wedding table plan on this fab cream heart frame, style with luggage tags and antique keys. 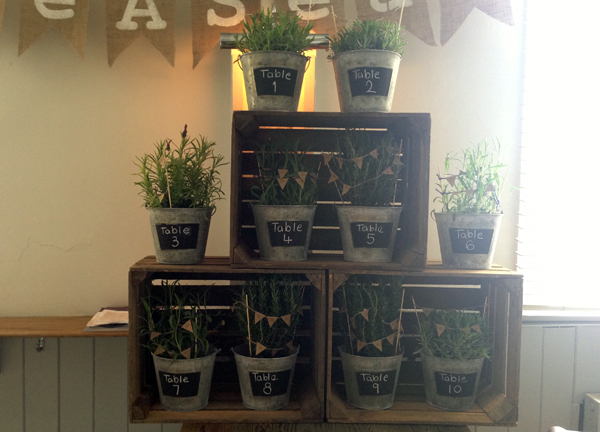 We love the TABLE PLAN wording across the top made from alphabet stickers. Stack up some vintage crates to make some shelving and add blackboard buckets filled with potted plants or herbs. 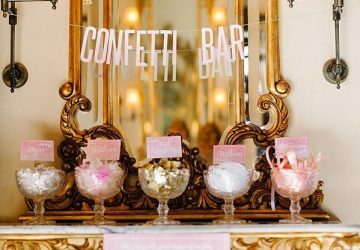 Write the table numbers on the front of the buckets and string up mini bunting with your guests names on inside each bucket. Read our step by step instructions showing you how to make this blackboard bucket table plan here. 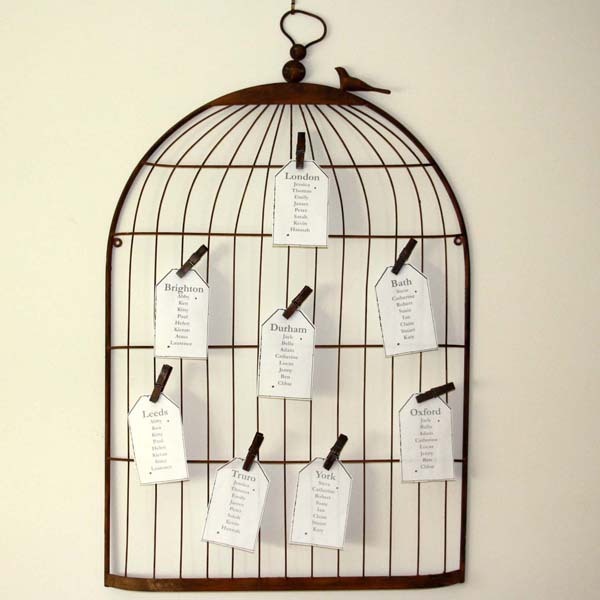 Our best selling birdcage makes a fab table plan. 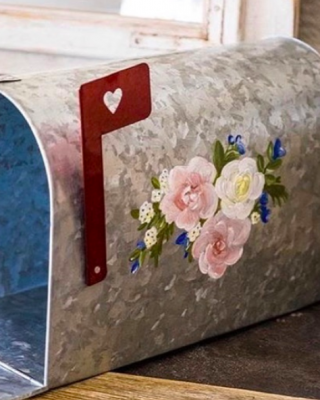 And after your wedding you can use it at home as a notice board. 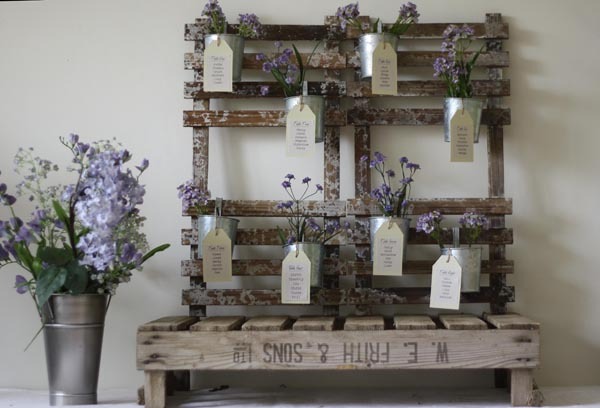 Another fab idea for a wedding table plan, stack up potted plants on vintage crates and stamp your guests names on to lolly pop sticks. 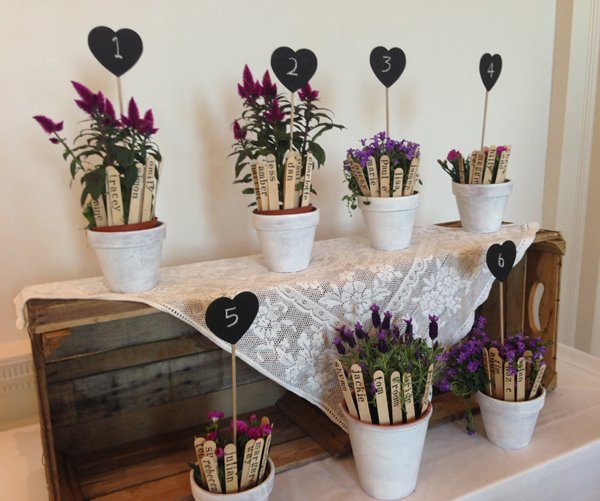 Poke each name into the corresponding plant and add a blackboard stick for the table number. 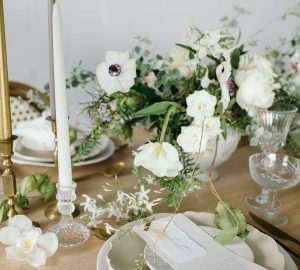 I suggest your browse our collection of table plans, our range changes all the time so keep checking back for new additions.